The flag of Sint Maarten was adopted 13 June 1985. It is red over blue with at the hoist a white triangle with the coat-of-arms (adopted 17 November 1982). These show on a blue, orange bordered shield the Court House in Philipsburg. Above the shield a sun with a flying pelican. Below the shield a yellow scroll with in blue the motto "SEMPER PROGREDIENS". I'm not sure what the other items on the shield are. To me they look like a cluster of fruits, and some sort of pole/monument? 'The colors are those of the flag of the Netherlands. The arms show an old courthouse, a bouquet of yellow sage (the national flower), and a silhouette of the monument honoring Dutch-French friendship and the unity of both parts of the island. The orange border symbolizes loyalty to the ruling Dutch house of Oranje-Nassau. The crest is formed by a yellow disc which represents the sun, and a grey silhouette of a pelican in flight. The motto in Latin, "Semper Progrediens" means "Always Progressing". This island is split between the Netherlands Antilles and Guadeloupe, which is a French DOM. Sint Maarten has a flag similar to the Philippine wartime flag, but with a coat of arms instead of the sun and stars. Saint-Martin maybe has a flag - the "cocktail glass" design. Perhaps the Saint-Martin flag alludes to the Sint Maarten flag? - the yellow semi-circle in the Saint-Martin flag could reply to the sun (rising or setting) in the Sint Maarten flag. Image according to Album 2000 [pay00] - I don't have official specifications of this flag. According information provided to me by Christopher Southworth, the coat-of-arms has a height of 2/5th of the flag height, and the white triangle reaches to 4/9th of the flag length. According the results of the referendum held in June 23, 2000, in Sint Maarten (the Netherlands part of the Caribbean island of Saint Marten), this territory is becoming a "new country within the Kingdom of the Netherlands", in other words, Sint Maarten is seceding from Netherlands Antilles. This is taking place on nest 1 June 2002. Everybody know how the Sint Maarten flag is. I have no news if it will change. Netherlands Antilles parties hammer out government agenda ahead of swearing in Parliament (Mon Mar 25, 1:26 PM ET). PHILIPSBURG, St. Maarten - Two months after general elections, Netherlands Antilles political parties on Monday were drafting the final version of a new government agenda that could feature calls for more sovereignty for St. Maarten. The Dutch territory on five Caribbean islands will swear in its new Parliament on the main island of Curaçao on Tuesday morning, with the 22 members choosing a new chairman to head the Central Government. During Jan. 18 elections, the three contending parties in St. Maarten were agreed on achieving "separate status" within the Kingdom of the Netherlands. This status, which Aruba got in 1986, would put the 37-square-mile (94-square-kilometer) island territory directly under Holland, and take it out of the Netherlands Antilles - which is governed from Curaçao and also includes Bonaire, St. Eustatius and Saba. 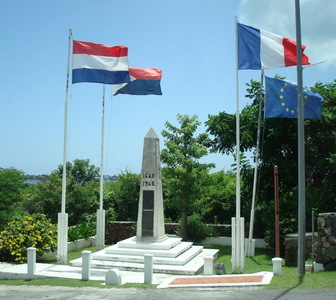 St. Maarten shares an island with the French territory of St. Martin. Aside from the issue of St. Maarten's status, the parties were lobbying Monday for their islands' agendas, including funding for St. Maarten's police force and medical center, and fighting increasing crime and drug use trends in Curaçao. Saba politicians will be trying to secure a vote for the island in the Council of Ministers by getting a minister seat, which Saba has never done. "I don't expect any troubles" during this week's agenda planning, said political analyst Gilbert Cijntje at the University of the Netherlands Antilles. "What comes after, the appointment of ministries ... could bring some trouble. That phase could become exciting." The change in the status of St. Maarten has not yet taken effect. Neither is there a clear indication as to the when or the how of this matter. The Netherlands Antilles has recently been through elections last 18th of January. Until today we are still in process of forming a new government. It's during the reign of this future government that decisions as well as concrete steps will be taken concerning the possible new status of St. Maarten." Minister Nicolai of Kingdom relations reached a historic agreement with Curaçao and Sint Maarten. The islands will become separate countries, like Aruba. That means that the co-operation between the Netherlands and the Netherlands Antilles, as agreed by the "Koninkrijksstatuut" of 1954, will end. It is agreed that there will be a common court of justice of the Netherlands, Curaçao and Sint Maarten. There are also agreements on policing and prosecution. The Netherlands will take care of the debts of the Netherlands Antilles, totaling 2.5 billion Euros. The Netherlands Antilles will cease to exist on 1 July 2007. Bonaire, Saba and Sint Eustatius will become Dutch municipalities. Aruba is a separate entity since 1986. Reading a news report on the transition in Sint Maarten, the new status was described as "a country within the Dutch Kingdom." What does that mean? Can it be compared to countries being members of the British Commonwealth or is it a totally different kind of relationship? What is now done locally that was previously done by the Netherlands? What (if anything) is still done by the Netherlands? Is full UN membership expected? Separate Olympic delegations? The Olympic Committee has changed the rules for membership of non-independent entities. Existing members will stay a normal member, but new non-independent members will not be admitted. This means that Aruba stays a IOC member, but Curaçao and Sint Maarten athletes will have to be part of the Netherlands team. The status of Curaçao and Sint Maarten are the same now as that of Aruba. Aruba has its own IOC delegation, I'm sure that Curaçao and Sint Maarten will get everything Aruba has (IOC delegation, ISO 3166 code, etc) in time, probably by the time of London 2012. The BES (Bonaire, St. Eustatius, Saba) islands is a different kettle of fish - they are now considered integral parts of the Netherlands, I would assume any Olympic athletes from the BES islands would march with the Netherlands team. I found was on St. Martin at a Dutch/French border crossing. They are flying the flags of the Netherlands, Sint Maarten, France and EU. I was crossing from the Dutch Sint Maarten over to the French Saint Martin side in this photo on 8/13/11. I thought the 4 flag display around the border marker was interesting.